It is possible to choose your own fiscal year for taxation, but the benefits from doing so rarely outweigh the disadvantages in a small business. You can only choose a fiscal year different than the calendar year if your business is designated as a C corporation, and you would have to see a pretty large benefit to timing your taxes in order for those savings to outweigh the real, required burden of double taxation that comes with any C corporation taxation structure. 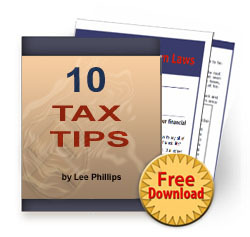 Remember that your taxation structure is different from your legal structure for your business. 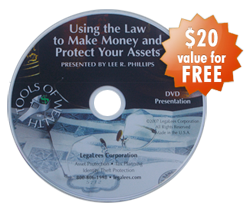 You can have an LLC taxed as a sole propietorship, partnership, S corporation, or C corporation. Sole propietorships, partnerships, and S corporations all work as pass-through entities. That means taxation of the profits passes through to the owner(s). In a sole proprietorship, you file a Schedule C with your personal 1040 form. Partnerships file Form 1065 and then gives a Schedule K-1 to each partner to report their earnings on their 1040s. An S corporation files Form 1120S and gives a K-1 to the member(s)/owner(s) to file with their 1040(s). In each case, the business fiscal year needs to align with the calendar year so that taxes can be paid on the owner’s personal income taxes. The business year end must be December 31st. A C corporation, on the other hand, pays all its own taxes as itself. Because it distributes profits after paying taxes on them (which the shareholders then have to pay taxes on again), the C corporation can choose what time of year those taxes come due. If you have the right accounting records, receivables, and such where you know that postponing the tax due will save you money because you can use that money to grow your business in the meantime before paying it out, you can benefit from setting your fiscal year to something other than December 31st. Most companies do not run enough money through their system to ever justify this float on the money. The fact that you can’t get money out of a C corporation except by paying a wage (which has all the social taxes) or a dividend (which is taxed twice), usually outweighs the benefit you get from keeping your company money a few more months before paying it out in taxes.